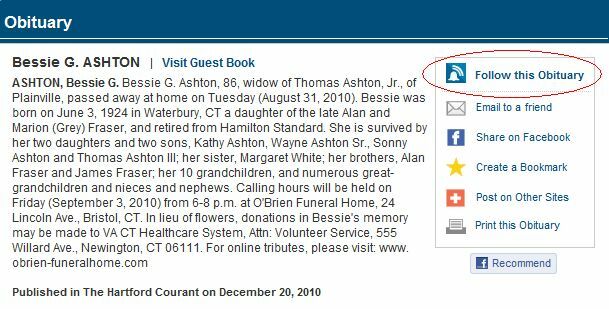 If you prefer to receive alerts via email, select “Follow via email” and we’ll send an email once a day informing you of updates to the obituary or Guest Book. If there are no updates that day, you will not receive an email. If you have any questions about our new alert options, send a note to info@legacy.com. We’re happy to help! 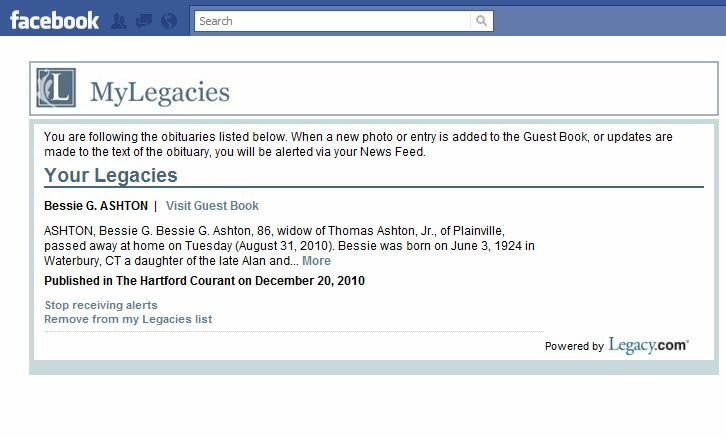 This entry was posted in Legacy.com Guides, New from Legacy.com and tagged Facebook, Life at Legacy.com, Obituaries, Social media. Bookmark the permalink.